Formula 1 only has four engine manufacturers, one of which is nowhere near the podium let alone victory. Should it take a leaf from MotoGP's book and prioritise the greater good over individual accomplishment? 1.544 seconds - that's the amount of time KTM gained between its MotoGP race debut at Valencia 2016 and the final race of its first full season at the same venue a year later. However you look at it, it's an impressive feat. But it's one that would have been impossible without a system of rules specifically designed to allow MotoGP's new or struggling entrants to catch up to the established frontrunners. 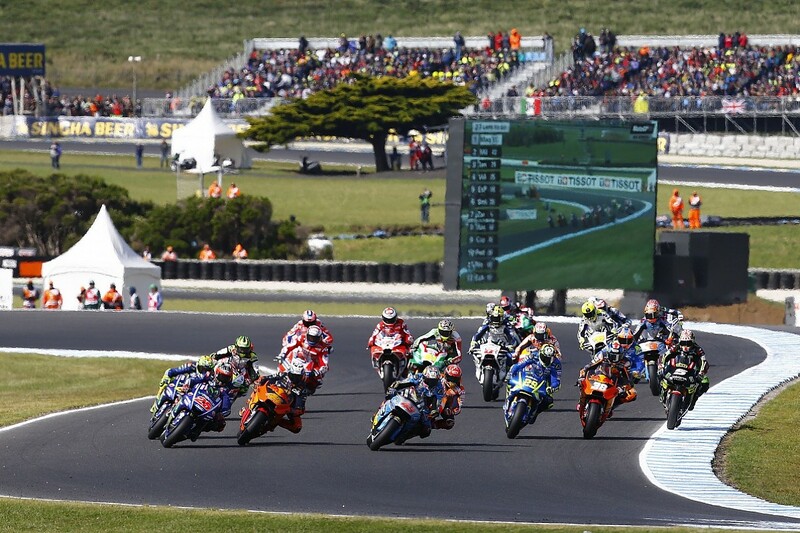 The rules surrounding MotoGP's 'technical concessions' were formalised in 2016 to coincide with the championship's move to standardised electronic software. But their roots can be traced back to Dorna's not-universally-popular 'Claiming Rule Team' (or CRT, for short) revolution. It effectively created a two-tier grid when the production-derived CRT bikes joined the field for 2012, although it was a necessary move with factory prototype numbers dwindling in the years following the global economic recession. The CRT class morphed into the 'Open' category for 2014, which allowed Honda, Yamaha and Ducati to enter privateer bikes running standardised Magneti Marelli software, as well as enjoy a range of other benefits that would form the basis for the concession rules in '16. It was agreed that any manufacturer that hadn't won a dry race since 2013, or earned a certain number of podium finishes, could continue to have unlimited testing with its factory riders (which was otherwise restricted to five days per year), extra engines to use in a season, and - most importantly - unrestricted engine development. Initially, that included Ducati, winless since Casey Stoner's last triumph for the team in 2010, but the Italian marque was later excluded on the basis of its '15 results, which included multiple podium finishes for Andreas Dovizioso and Iannone. That left 2015 returnees Suzuki and Aprilia as the remaining concession teams for '16, with both making strides over the course of the year - especially Suzuki, which took its first dry-weather win since 2000 with Maverick Vinales at Silverstone. Suzuki therefore lost the concessions for 2017, while Aprilia retained them and KTM began its tenure in MotoGP with them, making excellent use of its ability to do unlimited testing and develop its engine. Starting the year firmly entrenched at the back of the grid, KTM soon ditched its 'screamer' motor in favour of the more conventional 'big bang' design - and subsequent changes to the frame and swing-arm also paid dividends. By the second part of the year, Pol Espargaro was a regular presence in Q2 (for the fastest 12 riders), and from Brno onwards the lead KTM rider was never lower than 11th - ensuring a steady flow of points that allowed it to close the gap to, and eventually beat, Aprilia in the manufacturers' standings. Suzuki, by contrast, endured a wretched season precisely because it lost the freedom to develop its engine mid-year. It never really recovered from Iannone picking the wrong specification of engine in pre-season testing, at a time when he was still trying to get his head around the GSX-RR after four years at Ducati. Suzuki ended the year without a single podium finish, but the rules state that a team can regain lost concessions the following year should it fail to register a top-three finish across a whole season. You might think that Suzuki's rivals would be up in arms about this apparent loophole, but instead, MotoGP's manufacturers know that a closer playing field ultimately benefits everyone involved. "It's a good rule, honestly," said then-Honda team boss Livio Suppo when quizzed about Suzuki getting a leg-up for 2018. "It has been proven the last few years, that to help the manufacturers that are struggling is good for the championship. "All the changes Dorna have done in the last few years have been positive. At the moment the competition between all manufacturers is quite close, this is good for the show and this is very important for all of us. 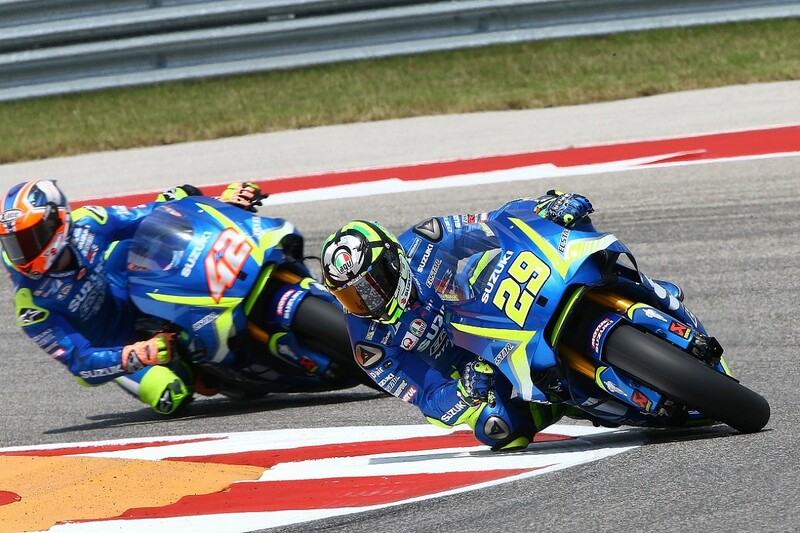 "If Suzuki is struggling but has the possibility to speed up the process of development, it's good. What KTM has done this season is amazing, without this rule it would be impossible. If now all these manufacturers can race very close, one bike close to the other, it's good for all of us." MotoGP's concessions have had the desired effect. It begs the question: would F1 benefit from rules to allow the stragglers to catch up, and improve the show? Unsurprisingly, as a team that has used the concession rules to dig itself out of a competitive hole and re-emerge as a major grand prix racing force, Ducati has no qualms about the position Suzuki finds itself in. "As you know Ducati took advantage of these rules when we were not competitive, to be able to step up development of the bike," said sporting director Paolo Ciabatti. "And when we came to a level where we could score podium finishes, we lost the concessions. "It's a rule that applies to everyone, and it's fair. And it has helped the championship to become so competitive, allowing new manufacturers to join the series with the chance of getting to the level of the top teams and top manufacturers." There's no doubt that the concession rules have had the desired effect. At Valencia, all six of MotoGP's manufacturers were split by 1.147s in qualifying. 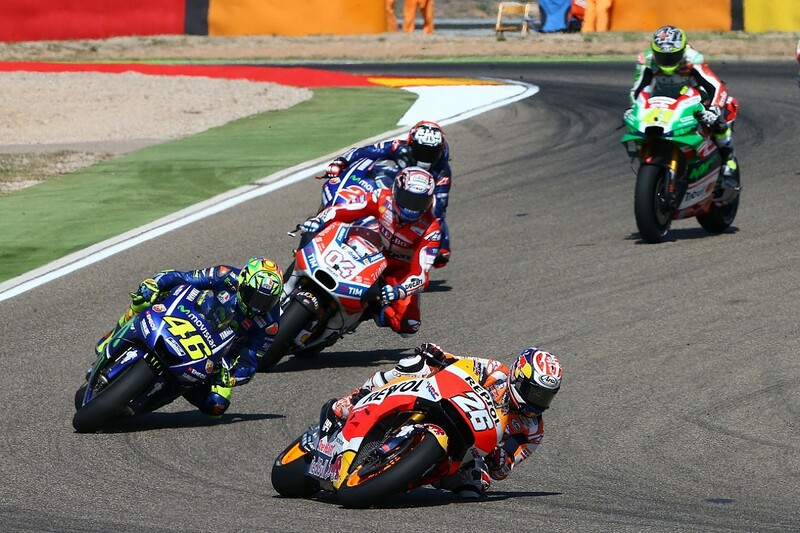 At Aragon, the gap was just 0.836s. It's difficult not to wonder whether Formula 1 could benefit from something similar. In F1, Honda continues to lag some way behind its rivals even after three full years, and Renault is also struggling to get on level terms with the benchmark Mercedes and Ferrari power units. The 1.147s that split the six MotoGP manufacturers at Valencia barely covered the top half-dozen cars (fielded by three teams) in qualifying for F1's Abu Dhabi Grand Prix, over a lap that was only roughly six seconds longer. It begs the question: would F1 benefit from a MotoGP-style set of concession rules to allow the stragglers to catch up, and improve the show? If we were to apply the podium points rule to the F1 engine manufacturers, it immediately rules out Renault, which took three victories with Max Verstappen and Daniel Ricciardo in 2017, as well as Ferrari and (obviously) Mercedes. 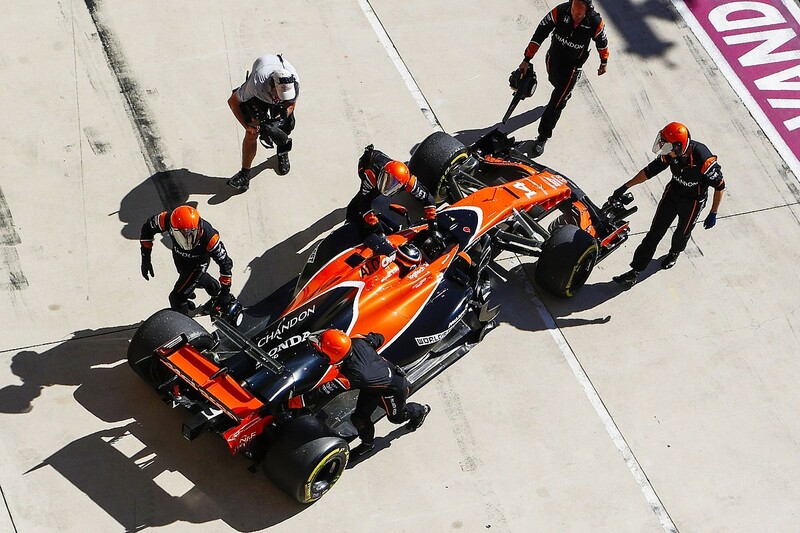 That only leaves Honda, which as a new entrant would have been eligible for concessions when it joined forces with McLaren in 2015. But how much difference would unlimited engine development, testing and extra power units to use in the season have made for the floundering Japanese marque, which this year was strong-armed into a divorce with McLaren and has found itself shacked up with Toro Rosso for 2018? It should be remembered that Honda has had the luxury of unlimited engine development since the rules were relaxed for 2016 to open up engine development for all teams. Had Honda been granted this concession but Mercedes, Ferrari and Renault remained constricted by the token system, it is conceivable it would have closed the gap faster. But Honda always said the token system wasn't the main thing holding it back, more that it was a question of not having reliable developments ready. It was a problem of understanding and capability rather than the rules. Unlimited testing would probably have made a difference this season, especially in terms of problem-solving after what happened in Barcelona pre-season testing, where McLaren was plagued by unreliability that severely limited its mileage relative to its competitors. But the tight race schedule would have made this difficult without establishing a dedicated test team, something that would have had massive cost implications. More engines would have allowed McLaren to defer grid penalties until later in the season, and likely given it an advantage when Renault teams began to hit trouble with their respective allocations later in the year. 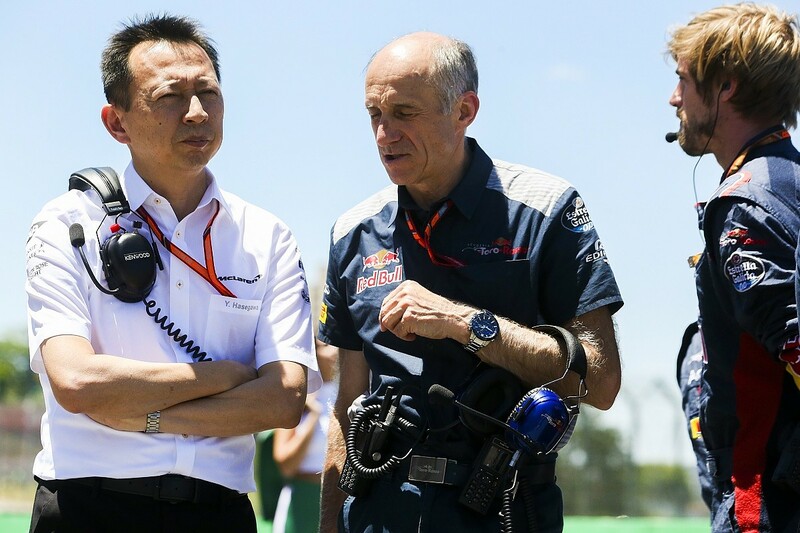 While the effect may not have been transformative, a MotoGP-style package of concessions would no doubt have helped Honda to some extent - and maybe allowed it to make enough progress to keep McLaren on board. Perhaps more important is the potential effect such a set of rules could have had on prospective new entrants. Honda remains the only manufacturer to have joined the F1 fray since the beginning of the V6 turbo hybrid era, and while it's hard to quantify exactly how much its struggles might have put off interested observers, it's likely to have had at least some impact. After all, if Honda - which dominated grand prix racing with Williams and then McLaren in the late 1980s and the start of the 90s - can't crack it, what chance does a manufacturer with a less illustrious record stand? 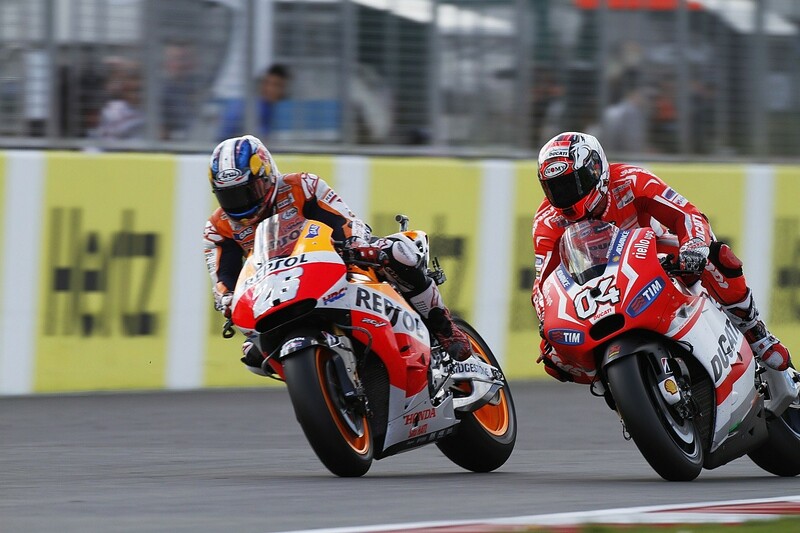 The contrast between Honda's struggles in F1 and KTM's rapid ascent up the MotoGP field despite being completely new to grand prix racing is stark, and betrays a difference in attitudes in the two series. F1 needs to recognise that past successes can't cover up present failings, and offer those still struggling a route back to competitiveness for the good of the whole championship. That's what MotoGP did, and now it's stronger than ever.